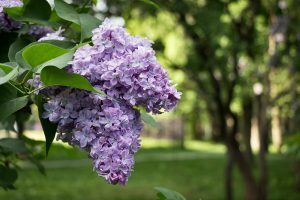 Lilac festivals tend to be one of the first outdoor festivals of the year. Their fragrant blossoms fill the air and often mark the beginning of spring. Depending on the region of the United States, the timing of the festival may vary as regions as inconsistencies in the weather can impact when the blossoms arrive. If it is unseasonably cool, they bloom late and if it is unseasonably warm, the blossoms may arrive earlier than anticipated. Regardless of the possibilities for missing the blooms, when they do blossom at the perfect moment it is a glorious site to experience. Many of the annual festival organizers suggest finding out the dates of a festival and then attending in the middle of the event, thereby hedging your bets for catching the blooms. The festivals tend to kick off mid-May and often last through the end of June. Here are a few festivals locations that are known for the blossoms as well as the pageantry of the festival. In addition to the collection of Lilacs this annual festival also includes a parade, a 5K and 10K race, live music, wine and cheese tastings and a plethora of food and craft booths. Since the late 1930s this annual festival has been celebrating the Spokane community. The event includes an annual car cruise, an Armed Forces Appreciation Golf Tournament, a parade, the Royal Tea Party with the festival’s queen and king and a number of other family oriented activities. This ten-day celebration is the first and largest summer event on the Island. Each year thousands of visitors come to partake in the Lilac Festival 10k, numerous live music events, wine tastings, the Taste of Mackinac Culinary Events, and the Festival Grand Parade. This location is home to the world’s largest collection of French hybrid lilacs. There are more than 700 varieties on display at the garden. This festival typically takes place mid-June when the flowers are at the peak of blossoming. The sight and scent of the flowers is something that you not soon forget.